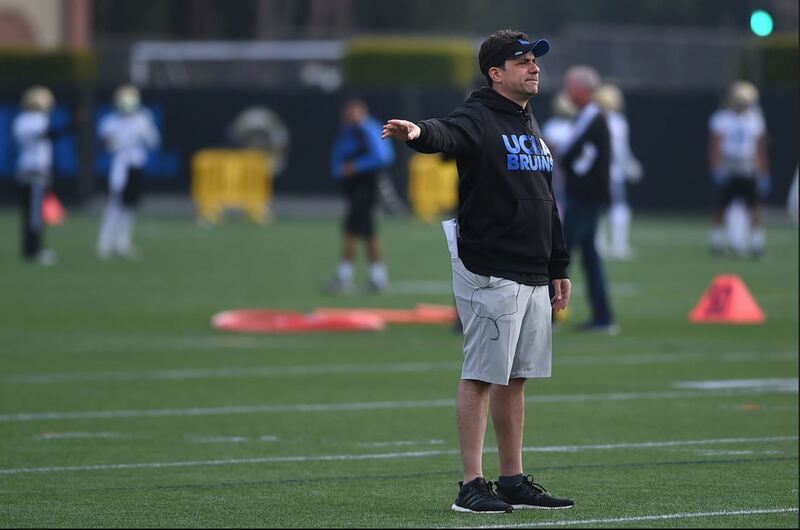 Offensive coordinator Jedd Fisch was the third-highest paid assistant coach at a public Pac-12 school this year, according to USA Today’s assistant coaching data base, and UCLA’s entire nine-man staff was the third-highest paid in the conference. Fisch, who signed a two-year deal in January, made $810,000 this year. Only Oregon defensive coordinator Jim Leavitt ($1.15 million) and Washington defensive coordinator Pete Kwiatkowski ($867,500) made more as public-school assistants in the Pac-12. UCLA’s assistant coaches made more than $3.7 million combined. Washington’s staff was the highest-paid Pac-12 group, making more than $4.67 million, followed by Oregon’s that fell just shy of $4 million. Running backs coach DeShaun Foster talks about the improvement of Bolu Olorunfunmi, his days playing in the UCLA-USC game and what he tells his players about the rivalry. Running backs coach DeShaun Foster talks about Bolu Olorunfunmi‘s new, leaner look, how he landed UC Davis transfer Josh Kelley and how he works with offensive line coach Hank Fraley to improve the running game. 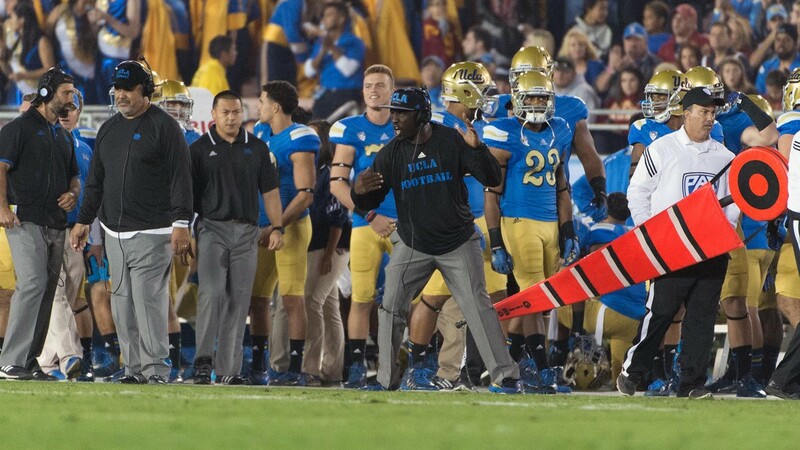 Running backs coach DeShaun Foster talks about coming back to UCLA, his coaching style and his goals for the group this year. UCLA officially announced the hiring of DeShaun Foster as its next running backs coach and Hank Fraley as its offensive line coach Saturday.